This story seemed strange to me at first, but with some checking it appears like it actually happened. A large shark, possibly a white shark blew up a dory with the detonation of two bombs it was carrying, killing two naval personnel and leading to the loss of both legs for one officer. 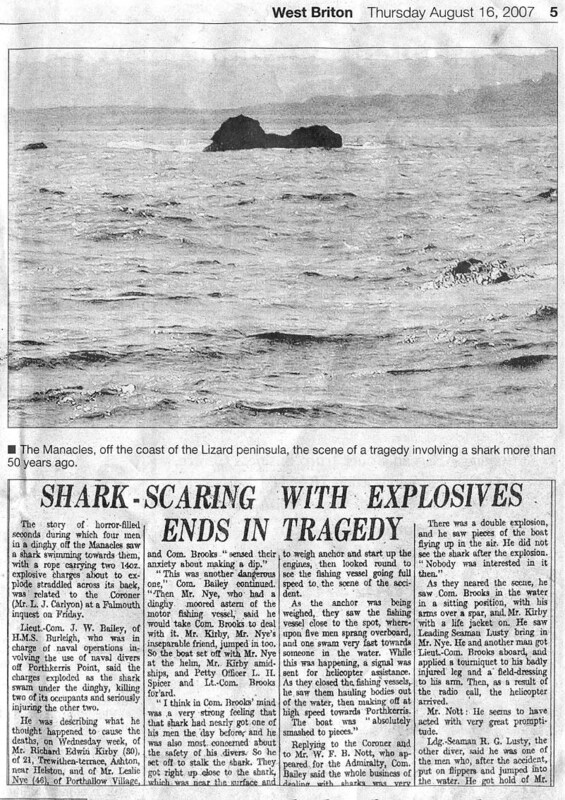 The bombs had been thrown on the shark to take it out shortly before it swam under the diver's dory destroying it. Basking sharks frequent the coast here and there is a diving operation at the point today, Portkerris Point Divers, this photo is from their website. 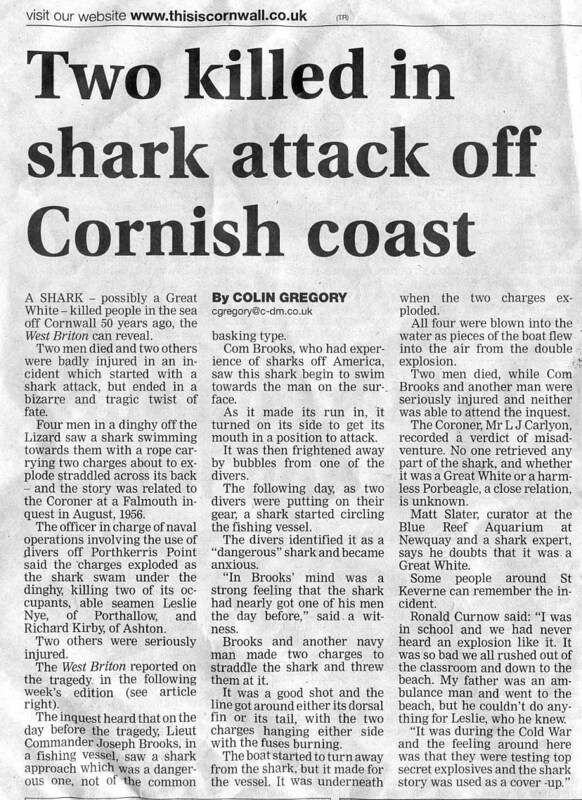 http://porthkerris.com The reports from 1965 said the shark in question wasn't a largely harmless basking shark. 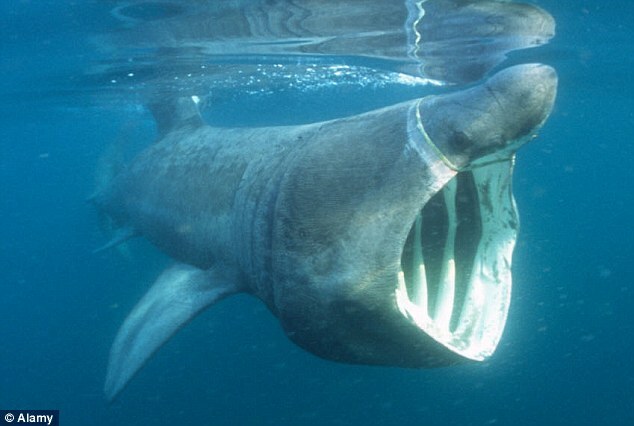 A basking shark filtering for plankton. The HMS BURLEY apparently mistakenly identified as the HMS Burleigh in the article, on station at the time of the accident. A reprint of the original 1956 newspaper article on the accident. A commendation to one of the rescue divers following the explosion. Last edited by RickI; 08-19-2016 at 09:30 AM.